Hello Dolls!! 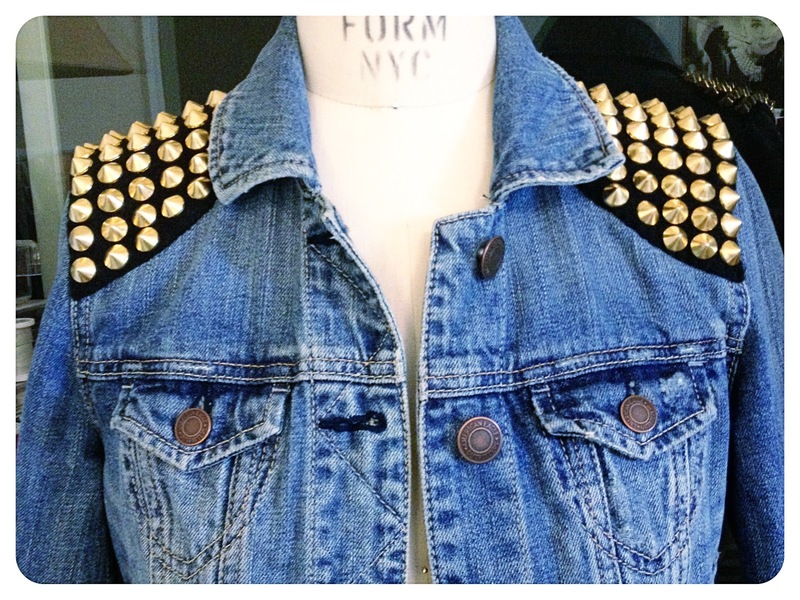 I went shopping this past weekend (what's new, I know) lol but while shopping at ZARA I saw a cropped denim jacket that has studded shoulders and I fell in love except that the jacket was $100 and I knew I had a denim jacket at home I could use to knock off the look so that is what I did and I documented the process so you can make one too!! 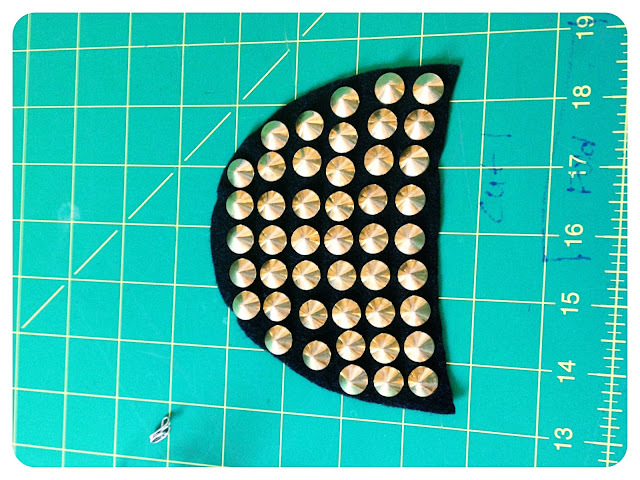 I love that if and when I tire of the studs I can easily remove the felt appliqué we are creating. 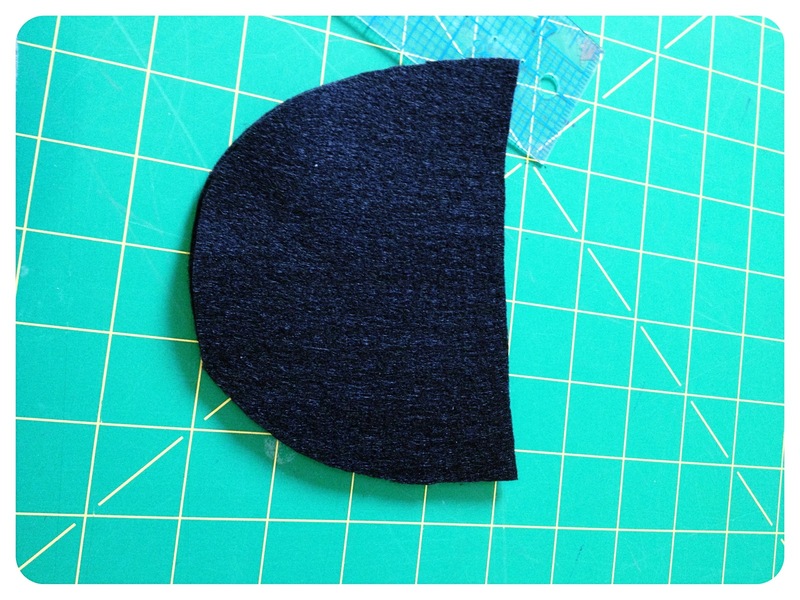 Step 2: Using this Shoulder Template HERE cut out a test of felt and place it on the shoulder of the jacket to make sure it is big enough for your size jacket. Adjust as needed and then CUT 2 shoulder shapes out f felt. Step 3: Using which ever studs you have chosen start placing them on the felt by starting at the center and working outwards, make sure to place them on top at first to make sure you can arrange them correctly before permanently attaching them. 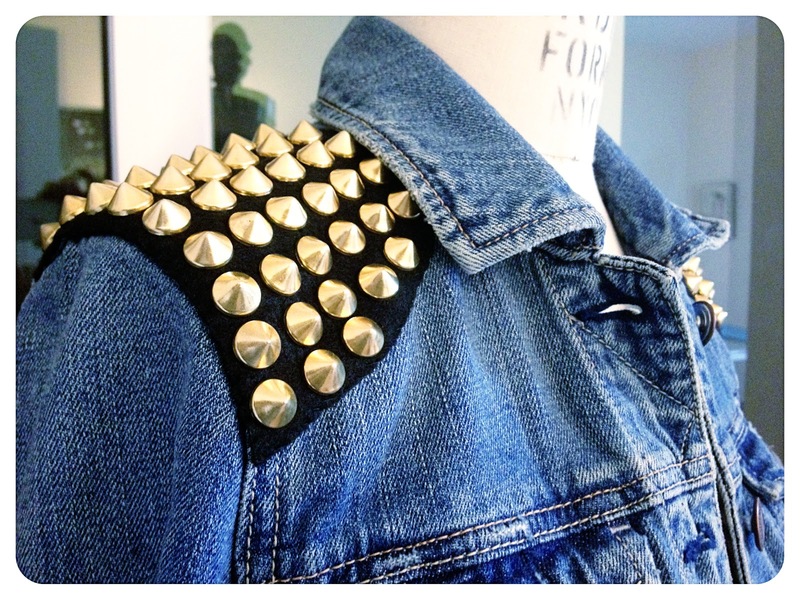 I used THESE studs but they have so many to choose from. 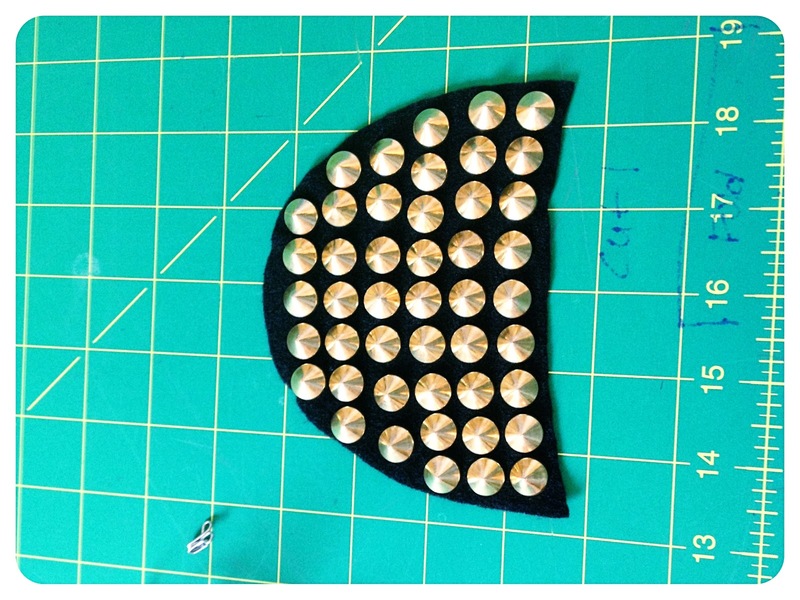 You can use flat back's that are glued or sewn on or the prong type that I used. Tip: The glue on studs will be faster but I used the prongs and my tweezers to bend them and it took about 10 minutes to attach the studs per piece. 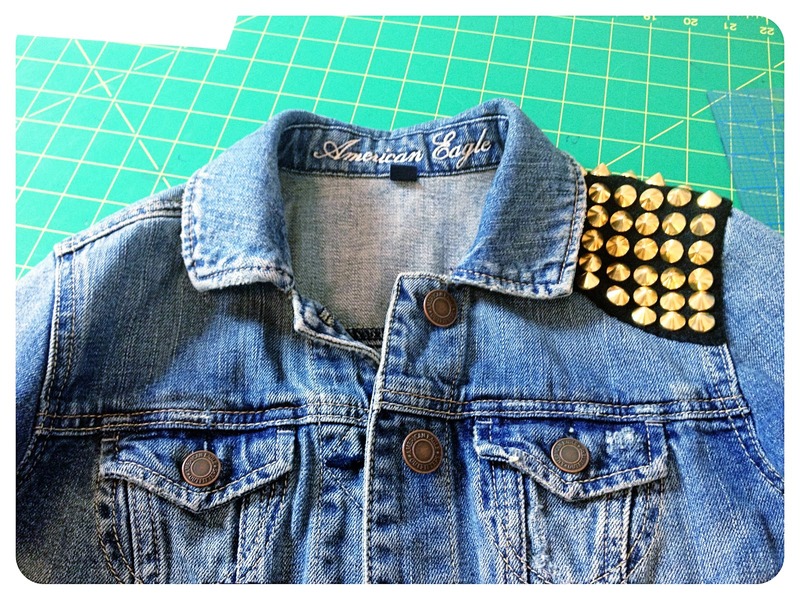 Step 5: When you have finished studding the shoulder felt pin it to your shoulder using the center row of studs as your guide placing it on the shoulder seam. Pin all around to hold in place. 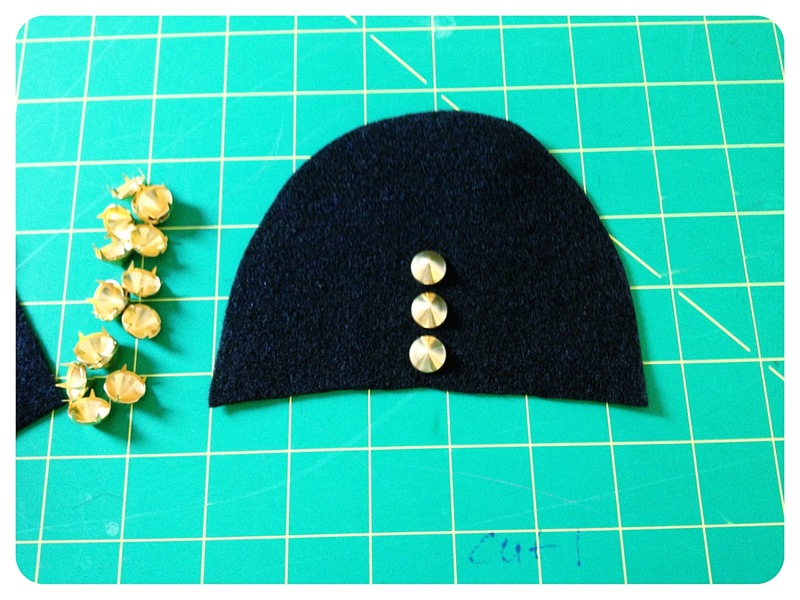 Step 7: Once you have finished hand sewing one felt piece on do the same exact thing for the other side. Thanks for DIY. I am going to give it a try this weekend in fact, and let you know how it came out. This outfit is super cute. Have a great day. Love this. I am not a DIYer but this jacket has just turned me into one. BWHAHAHAHA Thanks Irina ;-) It's all the lunges I do. This will be add to my list of project for thanksgiving weekend. 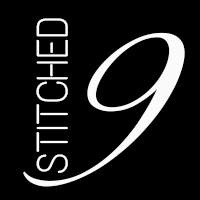 After doing JoAnn doorbuster sale I'm going to lock myself in my sewing room and sew, sew, sew. I Almost wish I didn't have to go to dinner on Thursday because I get so little time to sew these days. Love it definitely will be doing this asap thanks for sharing the tutorial! Wayyyy better than the Zara one! Great job Mimi! I bought this jacket online for $99.99, plus s&h! I wish I'd seen your tutorial first. I feel robbed now! LOL! Girl you know I am so doing this! Thanks again. So cute. I definitely need to try this. 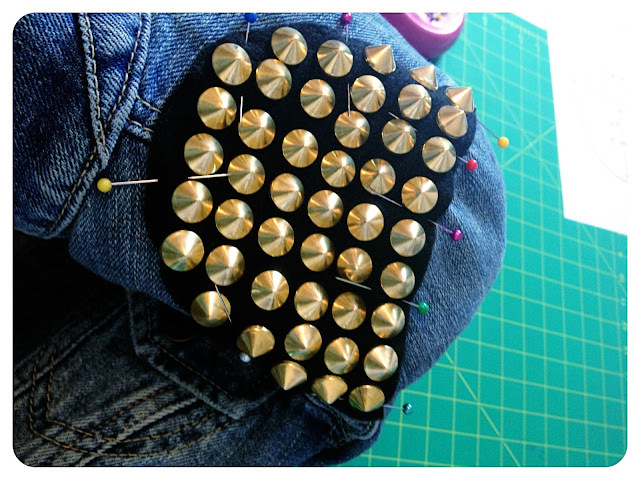 Maybe a studded belt. I love these types of DIYs. It's always a challenge for me to see how close I can get to the original. I'll have to try this. I have some felt in my scraps box. I love your Jacket way better then the Zara one and I like the gold better. You Rock MiMi. I cannot wait to try this. Will do so on my Christmas vacation. Such a good idea...already have a denim jacket in my closet that I never wear. 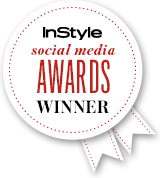 Mimi I love checking out your page...you rock! Yeah, this is definitely one awesome DIY! You made it look like it was completely store bought...and that's a good thing. I'm now inspired. 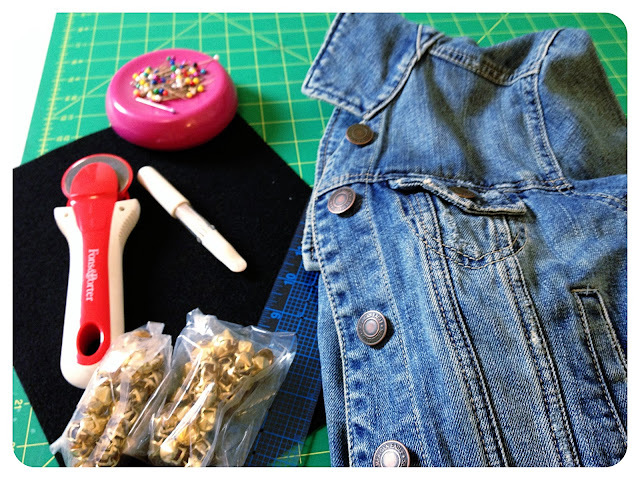 This is such a great DIY that goes beyond what I have seen out there. Great job. 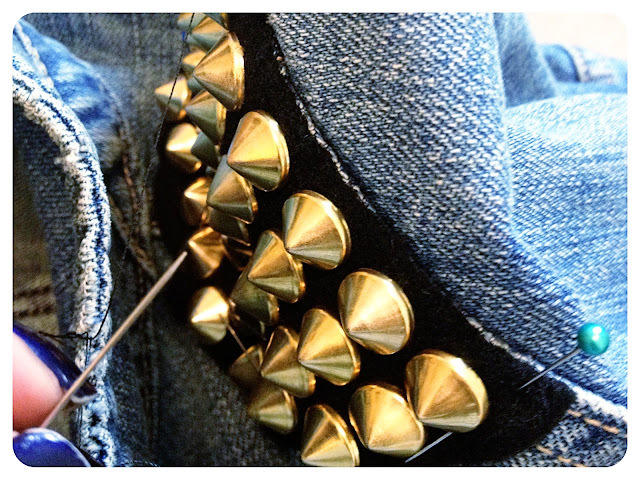 I will definitely be trying this jean studded do it yourself project. Thanks! Awesome Tutorial, can't wait to try this :-). Just brought a jean jacket from Old Navy when they was having the 50% off outerwear. You look great in that dress. You keep us ladies motivated to keep working out. Love those sunnies too! The purple nail polish is super cute! What brand/color is it? 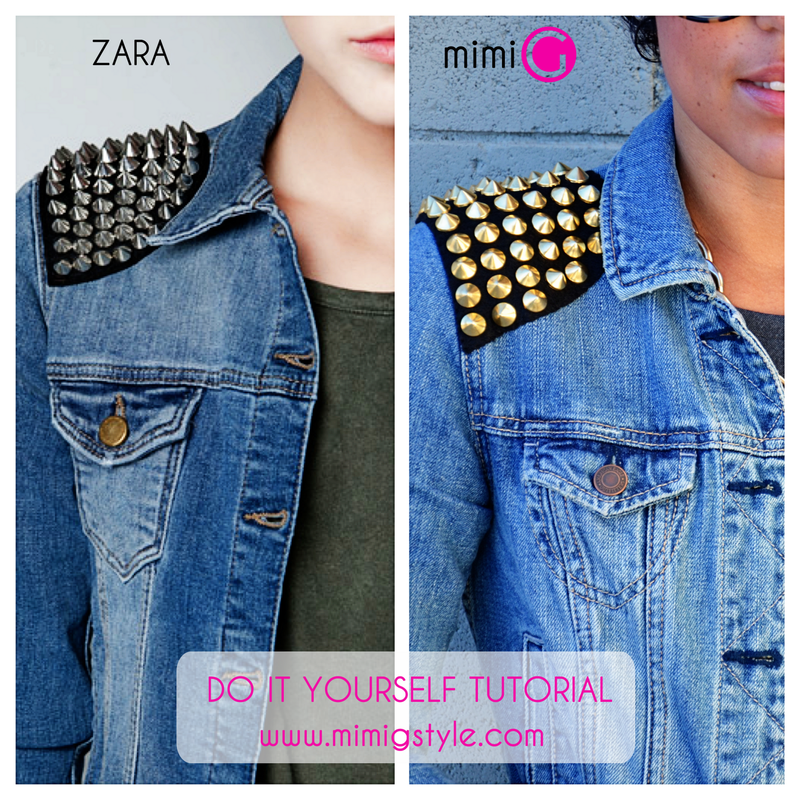 Love how you can reverse it if/when you tire of the studs and also that it's a Zara knockoff. 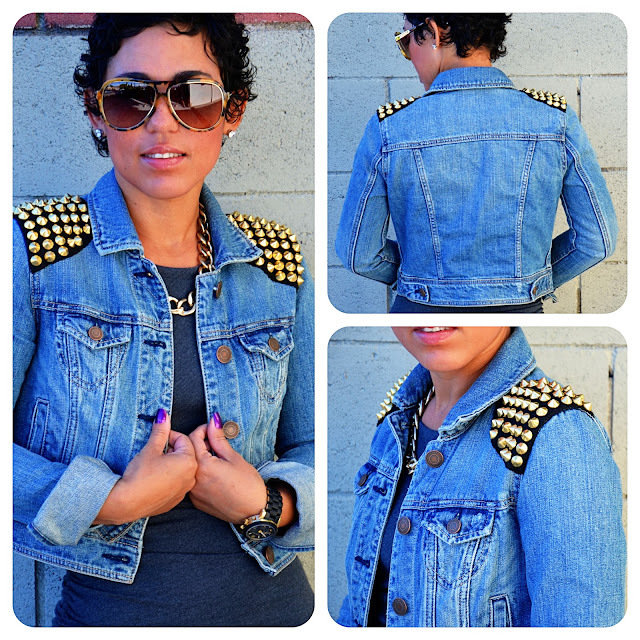 My readers love studs and restyles and I posted the top photo and a link back to your blog on my Tumblr blog. Hope that's OK.
what are the stud size? What about the dress under the jacket? Did you make that too or buy it? BTW thanks for turning me into a DIY'er! I made the dress love. I went to a closeout store and bought 2 shirts for 7.50 each with the shoulder patches already made so I will definitely place them on my jacket. Love this and all your other DIY. I need to stay OFF this blog! I am going to be off for two weeks for the break, Lord help me! Atleast I will be trying to thrift and get someone to help me make these, instead of buying them! Love, love, love this! 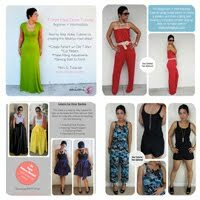 I am a fashion rehab artist, that receives great joy and pleasure out of shopping from my own closet! Over the years I have owned at least a half dozen or so jean jackets. 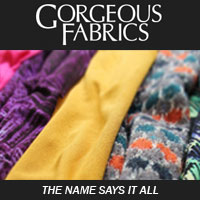 Looks like I'm going to have one that is truly going to make a huge fashion rehab statement in 2013. Can't wait to get studdin!